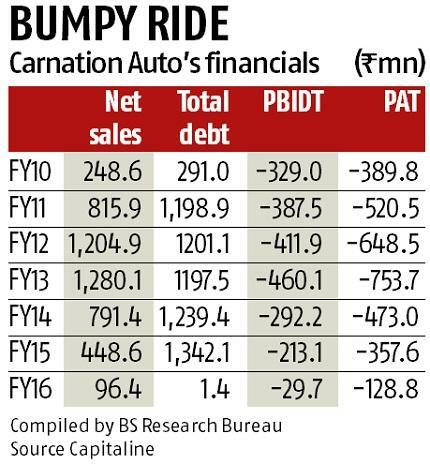 Will ex-Maruti Suzuki MD Jagdish Khattar's Carnation Auto bloom again? 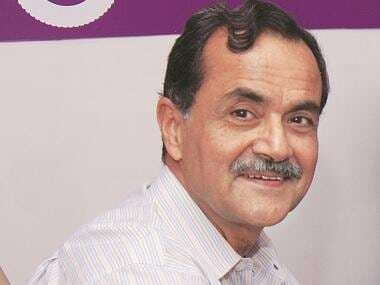 Jagdish Khattar retired from the position of managing director at country’s largest car-maker Maruti Suzuki in October 2007. At age 65, few would venture into setting up a new business at that age. 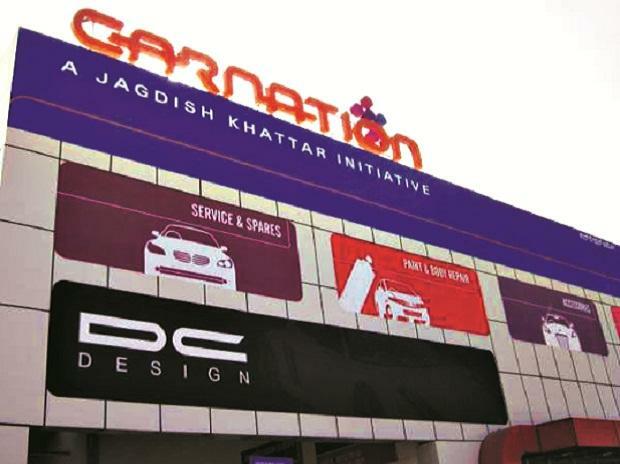 However, a year later Khattar launched an entrepreneurial venture, Carnation Auto, a multi-brand automobile service network also dealing in used car business. Almost a decade later, Khattar’s venture struggles to find a profitable road. Carnation was started as a company-owned company-operated network. Upon reaching a number of 24 such outlets, spanning Amritsar in Punjab to Cochin in Kerala, the company realised that that was not the best approach. Car makers were not very keen to make spare parts available in the open market, outside their own workshops. This was another challenge for Carnation. Khattar wanted to have a play between company authorised workshops and local garages by offering car owners a choice between the two, especially in cost. “The main model business failed. We came at a time when real estate prices were very high. The same locations are today available at 50 per cent rent. We got into them at a peak with the clause for an annual increase. Our monthly rent alone was Rs 10 million. We hired manpower from regular workshops at higher salaries as it was a multi brand model and wider skills were needed. Even though our cost was high but we were substantially affordable compared to workshops of car manufacturers,” said Khattar. The company had set up a showcase facility in Gurgaon with a capacity of 60 bays, paying a rent of Rs 1.5 million a month. The capacity utilisation never reached its potential and this also had to be shut down. Realising the high risk and low reward associated with this model, Carnation opted to go for the franchisee route in the year 2015. The company-owned outlets were closed after settling all dues and liabilities. The investors -- Premji Invest and Gajaa Investment -- supported the company in this transition. Carnation also missed the online bus as far as used car business is concerned. Entities like CarDekho and Cartrade and a host of other online players went live even as Carnation was searching for the right business model. Khattar says work was initiated as early as 2009 to set up an online platform for car sales. “The tech company we had roped in failed to execute this project in three years. It pulled down valuation and by then start-ups had got ready,” he said. An exercise to rebuild the business started with a more focussed franchisee route. Instead of going for a national approach Carnation decided to restrict its present primarily to north India and Maharashtra. The company opted for this cluster-based approach to have better control over the costs associated with these franchisees. The company now has 170 franchisees, primarily workshops and a used-car network. Carnation gets a fixed monthly royalty from the franchisees irrespective of the business that the franchisee owner generates. It helps the franchisees with its brand, processes, network, etc. Khattar believes the model is highly scale-able. Since inception Carnation has serviced over a million cars. The current franchisee network does a monthly billing of Rs 50-60 million. Meanwhile, the outstanding to banks continued to spiral and reached a stage where Carnation found it impossible to service the interest obligations. Carnation owes more than Rs 1.15 billion to Punjab National Bank (PNB) including unpaid interest burden towards a loan it raised in 2013. Khattar said the two key investors continue to back the company and if one exclude the financial obligations the business remains operationally profitable. PNB, however, decided to file a corporate insolvency resolution process against Carnation last year. The bank had called for expression of interests (EoIs) for a resolution mechanism currently being overseen by an insolvency resolution professional. It is learnt that a few EoIs have been submitted to the IRP last week and the process will move towards resolution. The investors are to submit a new business plan, pump in more funds and also settle the issue with banks to continue the business. The resolution is expected to be complete by March. Although the details of the resolution plan that may get finally approved are not available in the public domain, it is clear that Khattar will cease to be the promoter of Carnation even as he is very keen to see the company stand up and move ahead. At 75, however, he is not keen to retire. “I have been member of five golf courses for the past 30 years. I am left with one now. But in thirty years I have never been to a golf course even once. I will start playing the day I retire”. He says Carnation has been a learning experience. “You expand, you have big ideas and then you falter and start again. I asked for it and I have gone through it. At my age there is lot of learning,” he adds. The nine-year Carnation journey, where Khattar invested his personal wealth, time and effort, is in contrast to his eight-year stint as managing director of Maruti during which the company firmly established as the market leader. But Khattar says he gave his best to Carnation though factors outside his control pulled him down. “We are taught to do the best for any assignment that comes our way at IAS”. It will be interesting to see if Khattar gets a new assignment at Carnation.